Google has finally unveiled its accidentally leaked Keep app, its newest offering that makes taking notes a whole lot easier. 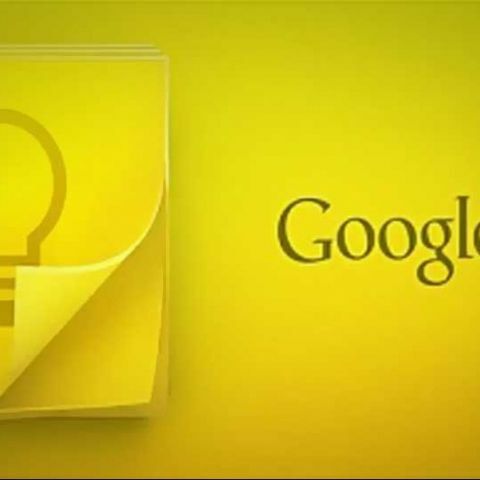 After a rather short game of hide and seek, Google Keep, the online note keeping has been made official by Google with the Android and web apps going live today. The app was revealed through a post on Google’s blog, which includes a detailed video on how the app works. The app is available for all phones running Android 4.0 and up. The app was designed keeping in mind the need of users to take down information at an instant’s notice. It comes in handy when you absolutely must make a note of something, but don’t have a pen or paper around handy. The app allows users to either quickly type, or record and transcribe notes as well as pin photos. All these notes eventually get synced to a web based dashboard and can be retrieved at any time later. 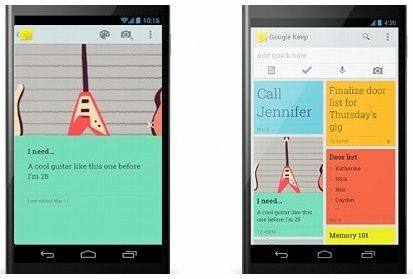 The Android app for Google Keep allows one to easily view and create notes right from the homescreen and phones with Android 4.2 and higher get the functionality extended to their lockscreens as well. The interface in the app itself is simple enough, presenting notes created with Keep in a mosaic layout, complete with color customization entries for individual entries, and drag-and-drop rearrangement for prioritization. There are many note apps out there for both Android and iOS, with Evernote being one of the best note taking apps out there, so Google’s Keep will be an interesting entrant into the market. However, as we’ve seen in recent times that Google has a nasty habit of cutting off good products in its “Spring Cleaning” program, like it did the Google Reader recently. So one must wonder how long this app will continue to thrive.